The recent Colin Kaepernik saga has got me thinking about all of the other discarded free agents in pro sports today and wondering where in the world they could fit in. Then it dawned on me. 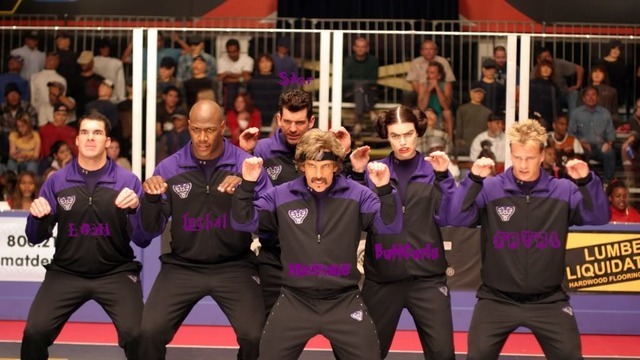 Like Vince Vaughn, I could round up the boys to hopefully build one of the most dominant dodgeball teams the world has ever seen. I imagine hitting the road and touring America leaving dodgeball-welted victims in our wake. It’d be like the ’92 Dream Team through Spain except probably a lot grittier and way more underwhelming. Without further ado, here is the list of athletes that I’m targeting with my own personal pitch as owner, GM and captain of “The Leftovers: Dodgeball for the Drunk and Washed-Up”. We’re embracing the image as the “bad boys of dodgeball”. I plan on making Johnny “Money” Manziel the official face and arm of Leftovers Dodgeball. As long as he shows up to the gym for gametime, I’ll turn a blind eye to everything else. No diets. No drug tests. And for sure no curfews. Sources say that he’s looking for an NFL comeback? There’s no better place to showcase the cannon and light-feet for the scouts than the dodgeball court (except for an actual football field I guess). Where Johnny and Colin might be considered aloof, Brett has enough fire to fuel the whole team. It’s not always the most guided passion, but it’s passion all the same. What I learned about Brett from his time on the Blue Jays, and ultimately his most redeeming quality, is that he will dive head-first into a concrete camera bay if it means getting 1 out in a 162 game season. You just can’t teach that. If Otani wants to get to North America one year sooner than his Japanese posting period, look no further than The Leftovers. Otani is a Japanese pitcher who can clock in at 100 mph AND absolutely rake at the plate. He’s going to be one of the most sought-after free agents in the next MLB offseason. Granted if he were to play dodgeball for our squad he may have to hire a translator, but I feel that ultimately the language of dodgeball can and will break down barriers. If Otani can dodge a wrench, he can play for us. If nobody wants the 45 year-old Jagr, I’ll gladly take him. While I have no idea of his dodgeball background or acumen , I envision him as a Patches O’Hoolihan-type life mentoring role. He’s a team morale guy first, and a pretty strong athlete second. At this point he’s all hair and dad-strength, which is quite frankly all we need. Again, if it’s a sticking point, there is no team curfew. I’m not going to step on the toes of this silver fox. Nate’s been trying to get back into the professional sports scenery, his most recent attempt a 2016 tryout at cornerback for the Seattle Seahawks. If the former NBA dunk contest winner wants to get back into the sports scene, look no further than this weird ensemble of a dodgeball team. Nate’s compact 5’9″ frame and explosive hops make him nearly impossible to hit. In elementary school I used my tiny frame to hide behind the biggest guy on our team and would jump from behind to nail the unsuspecting victims. It was kind of a signature move. Now imagine that move performed by a guy with even a shred of athleticism. Now imagine Nate Robinson jumping above the whole gym and bringing pain down on the suckers on the other team. They won’t even know what hit them.